Haiti is in a FOOD CRISIS right now. Haiti has the third-highest rate of hunger in the world behind Somalia and Afghanistan. The unemployment rate is over 80% and more than half of Haitians live on less than one dollar a day or approximately $250.00 US per year. 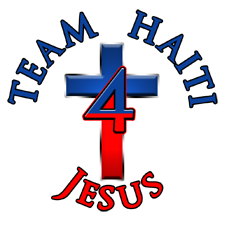 Team Haiti-4-Jesus currently has established Feeding Programs in Haiti. We distribute dry food consisting of beans and rice, to our friends in Les Basse, Onaville and other tent cities around Port-Au-Prince. At this time we can only afford to bring them food twice a year. Our goal is to be able to bring enough food to provide at least 3 meals per week, year round for these children. The people of Haiti desperately need your support. Monetary donations are needed In order for us to facilitate the purchase of this food, the prices of which have increased drastically due to limited supplies. The cost to support this feeding program can seem trivial from an American perspective, but these donations have a huge life changing impact on the children in these villages. You can be part of this effort; you can make a difference on how many people that Team Haiti-4-Jesus can reach each year. Consider giving up a couple gourmet coffees and being able to feed a Haitian child for an entire month.